Ceton Echo Settings is a plugin for Windows Media Center on the PC that allows you to control and customize your Ceton Echo extender devices. 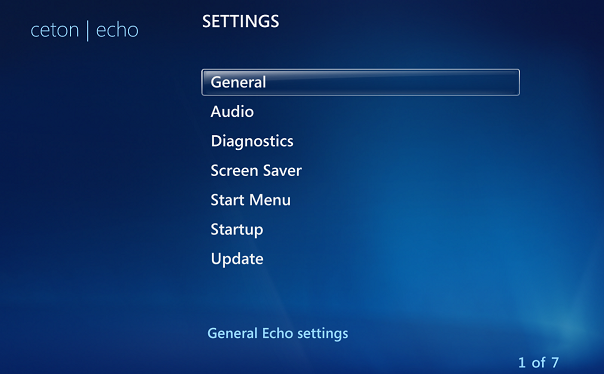 The plugin is installed on your Media Center PC; however the Echo Settings screen is only visible on your Ceton Echo(s). 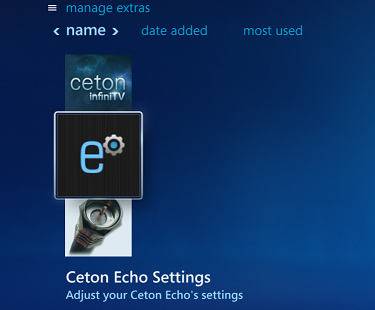 Download the Ceton Echo Settings plugin on your PC. Please ensure that your Echo is OFF and Media Center is Closed. 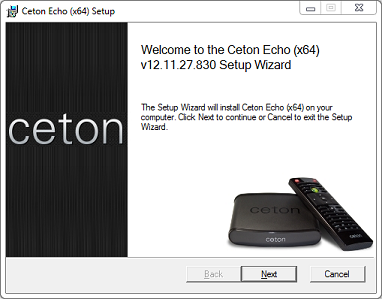 Run the downloaded installer and follow the steps to install the Ceton Echo Settings plugin. 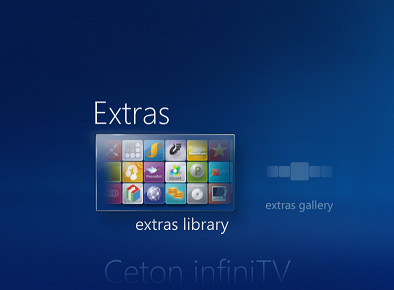 After the installation is complete, boot up your Ceton Echo and go to the Extras Library. Note: the plugin is installed on your Media Center PC; however the Echo Settings screen is only visible on your Ceton Echo(s) and will not be visible in the Extras Library on your Media Center PC. For a detailed description of each setting please see our Knowledgebase.